Lisburn singer/songwriter Mark Graham has been generating enthusiastic reviews from newly weds who have appreciated the relaxed, intimate atmosphere he created throughout their wedding day. With many couples out there planning spring and summer weddings it seemed a perfect time to spread the word. 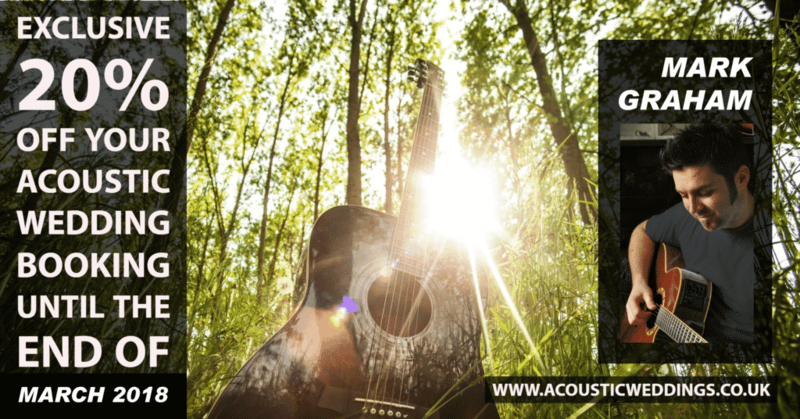 We designed a Facebook cover to promote Mark’s current offer of 20% off bookings and created a social media campaign and Adwords, directing visitors to his website http://acousticweddings.co.uk/ which is designed to simply show who Mark is and what he does and to let the music and testimonials speak for themselves.